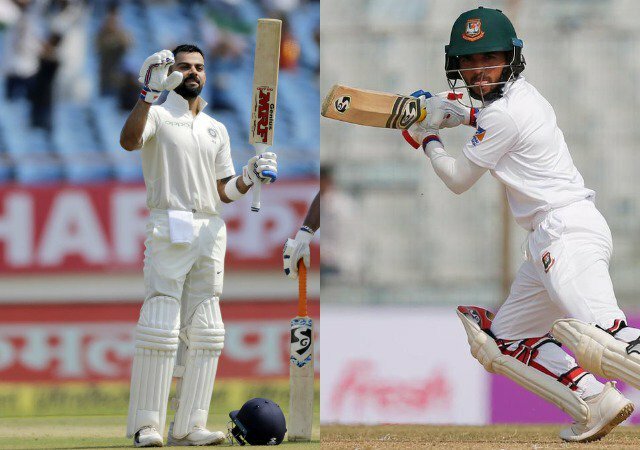 Bangladeshi young batsman Mominul Haque has equaled this big world record of Indian team captain Virat Kohli. Mominul, who is fast becoming the main pillar of the Bangladeshi team. In the 1st day of the first Test against Windies at the Zahur Ahmad Chowdhury Stadium on Thursday. 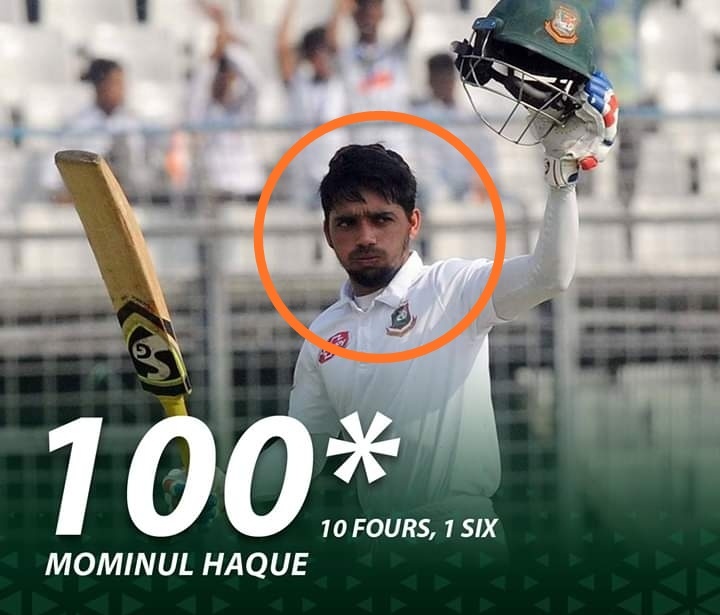 The 27-year-old Mominul Haque completed his 8th century in his Test career. 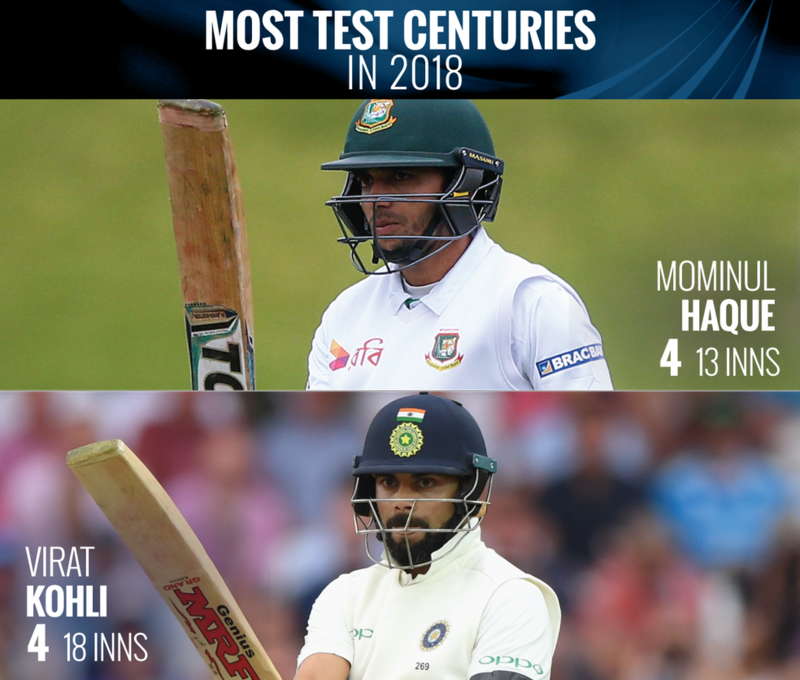 With this hundred, Mominul has scored four hundred in test cricket this year, and in this case, he has equaled King Kohli, while no other batsman has hit more than two tons in 2018. 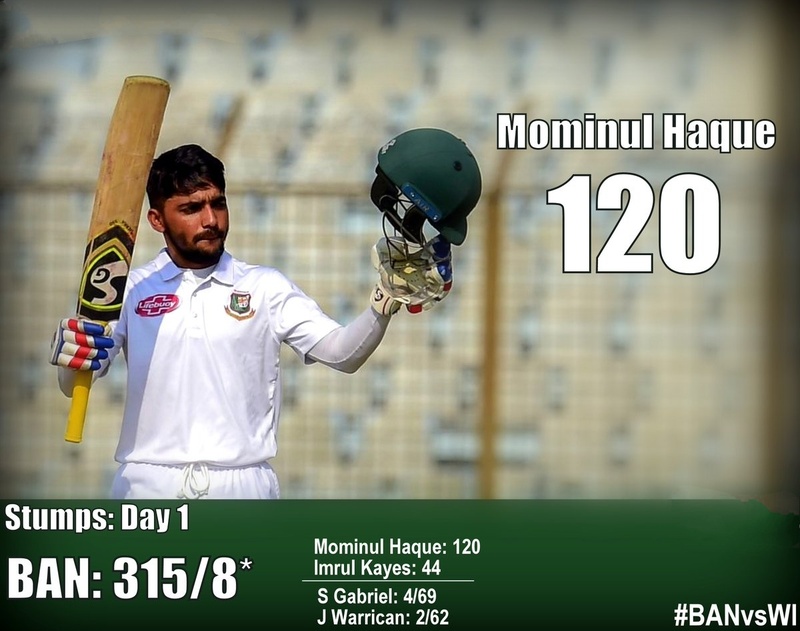 Mominul scored 120 runs in 167 balls with 10 fours and 1 six. Earlier this year, against Sri Lanka, he had scored two hundred. 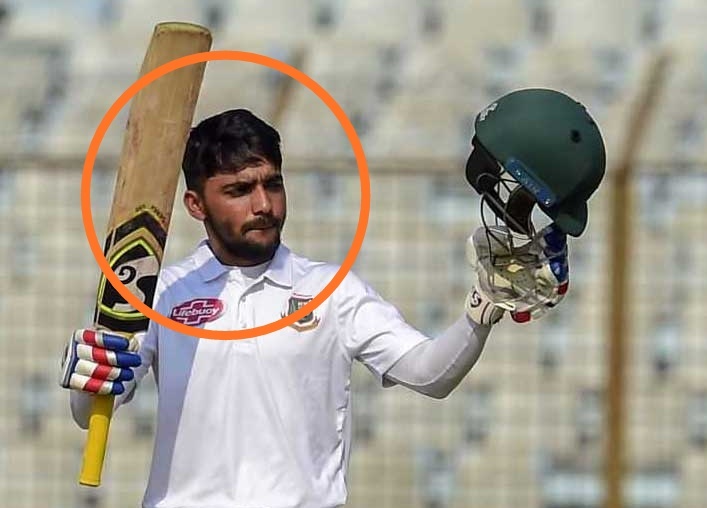 Apart from Kohli, Mominul has also equaled his teammate Tamim Iqbal in the case most test centuries for Bangladesh (8 centuries). When compared to Tamim and Kohli himself after the achievement, the Bangladeshi batsman said, "There is no question of comparison with Tamim Bhai. He is a different level batsman in the world of cricket. I do not think that a comparison with Kohli is also right. He is a very high-level batsman from me."